A hidden gem in the centre of Exeter; despite its central location the Cloister Garden can be completely closed to the public and provides a secluded yet picturesque outdoors space for summer drinks receptions and weddings. 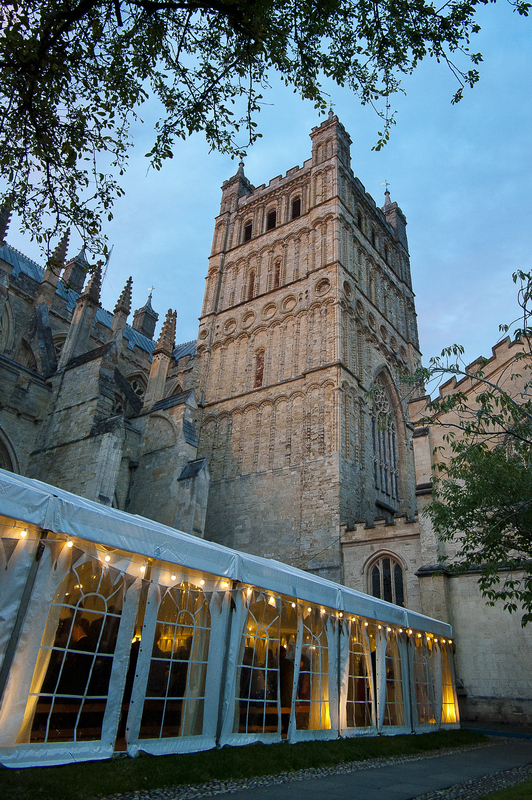 Please get in touch with us if you are interested in a wedding reception at Exeter Cathedral where we can offer you a bespoke event and venue proposal. Available evenings and weekends only.